The first-ever #1 hits collection from one of the best-selling vocalists of all-time, and the artist that paved the way, and still leads, the global explosion of Latin music. The definitive collection of not only the best-selling Latin music artist of all-time, but also one of the top recording artists in history regardless of language. 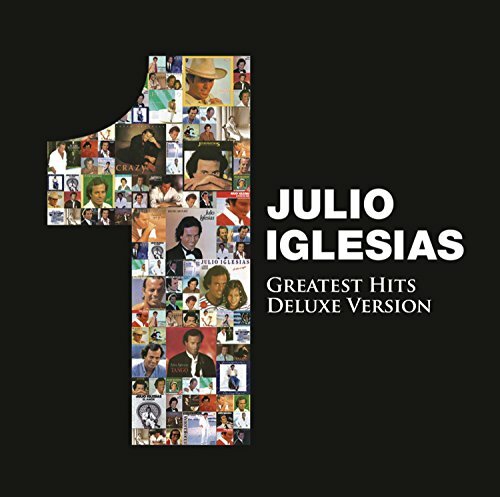 The 2CD set includes Julio's best loved hits including songs in English, Spanish, Italian, French and Portuguese and duets with Willie Nelson, Sting, Diana Ross, Frank Sinatra and more! Most songs have been newly re-recorded and sound better than ever! Julio says that "this album is mainly dedicated to all the anonymous people who have been following me for 45 years, with generosity and affection, and who have allowed me to keep singing up until today. They ll always be the great driving force of my career." Also included is Starry Night: Live From the Greek Theatre, the DVD chronicle of Julio s historic concert at the legendary Los Angeles venue in 1990. 8. 99 Miles From L.A.